BEAUTIFULLY CRAFTED, IN EXCELLENT MOVE-IN CONDITION! 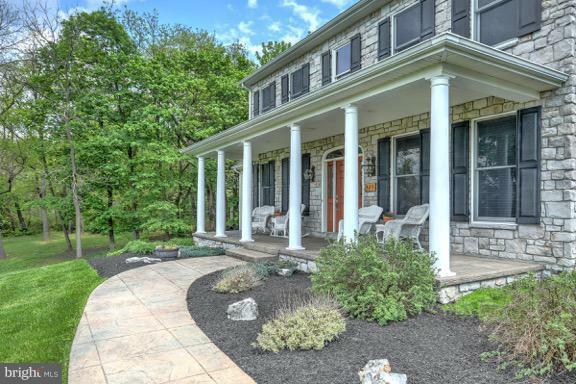 CUSTOM HOME BUILT BY JIM MUMPER ON 5.58 PARTIALLY WOODED ACRES. 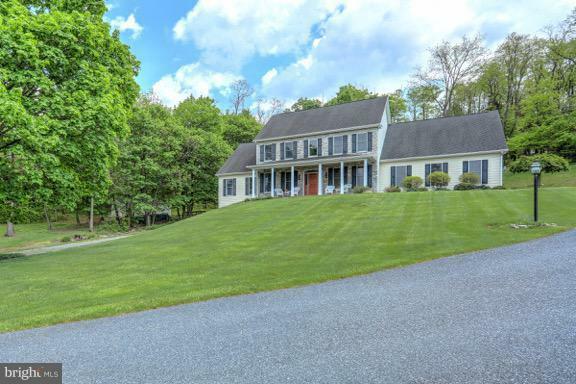 A COUNTRY ATMOSPHERE, BUT VERY CONVENIENTLY LOCATED, WITH WOODED WALKING/RIDING TRAILS, PEACE AND PRIVACY, EVENING SUNSETS FROM LARGE FRONT PORCH. THE LONG PRIVATE DRIVEWAYLEADS TO A 4-CAR SIDE ENTRY GARAGE WITH EXTRA STORAGE AND PARKING AREA. FEATURING 4 BEDROOMS, 2 FULL BATHS, 2 POWDER ROOMS, 2 WOOD BURNING FIREPLACES ( WITH PROPANE ROUGH IN), SECURITY SYSTEM, 4 ZONE HEATING SYSTEM. LARGE FAMILY ROOM HAS VAULTED CEILING, PALADIUM WINDOW, STONE FIREPLACE. LOVELY KITCHEN WITH CUSTOM WOOD CABINETRY, STAINLESS STEEL APPLIANCES, SEPARATE BREAKFAST AREA, HARDWOOD FLOOR, GRANITE COUNTERS, ISLAND WITH BREAKFAST BAR, TRANSOM PATIO DOOR EXITS TO PAVER PATIO. LARGE ENCLOSED SUN ROOM, PERFECT FOR RELAXING HAS FIREPLACE, AND EXIT TO THE PATIO. FORMAL DINING ROOM, FIRST FLOOR LAUNDRY ROOM WITH A DOOR TO BACK PATIO. 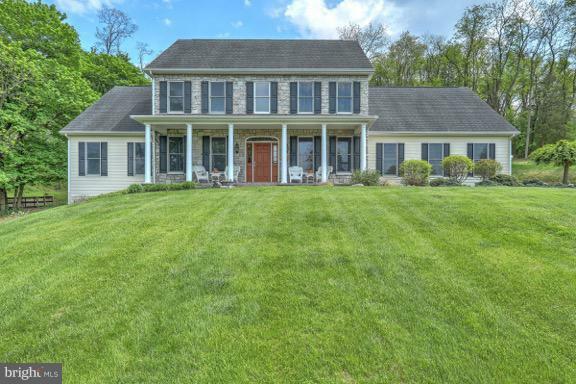 WONDERFULLY FINISHED WALK-OUT LOWER LEVEL, GREAT FOR ENTERTAINING, HAS A VERY LARGE GAME ROOM WITH WET BAR, POWDER ROOM AND OFFICE. MASTER BEDROOM SUITE WITH LARGE WALK-IN CLOSET, WHIRLPOOL BATH, LARGE TILED SEPARATE SHOWER, DOUBLE BOWL VANITY. THERE IS AMPLE CLOSET SPACE WITH 3 OF THE 4 BEDROOMS HAVING WALK-IN CLOSETS. ALSO A~ LAUNDRY CHUTE~ IN THE HALL! 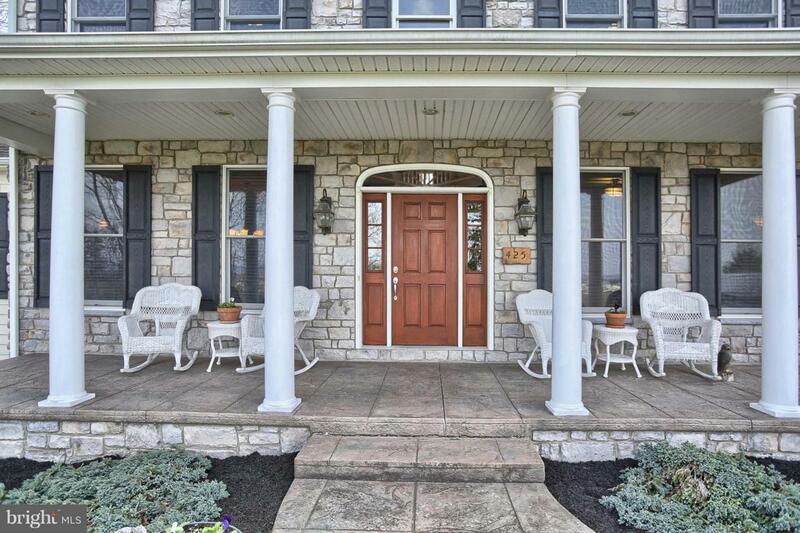 THE HARDWOOD FLOORS ON MOST OF THE FIRST FLOOR, CREATE A VERY WARM FEELING OF COMING HOME!THIS PEACEFUL RETREAT IS A RARE FIND IN UPPER ALLEN TOWNSHIP. ZONING IS RESIDENTIAL AGRICULTURAL. LOCATION IS CLOSE TO RT. 15,THE TURNPIKE, SCHOOLS AND SHOPPING.-A DEFINITE PLEASURE TO SHOW!